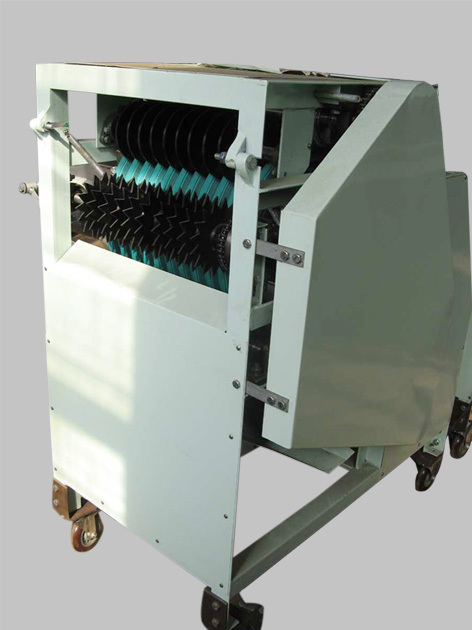 This machine is composed of vertical type hoisting machine, storage box, decorticating machine and sieving strap. It features compact structure, stable operation and low noise. 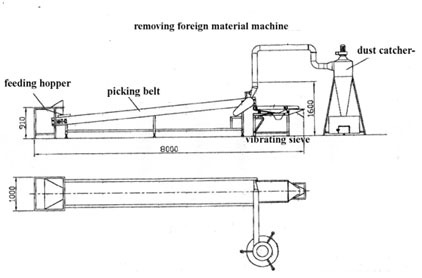 After being put into charging spout, the peanut automatically enters into decorticating room composed of two friction rollers, removing the skin of the peanut so as to produce peanut without red seed color. 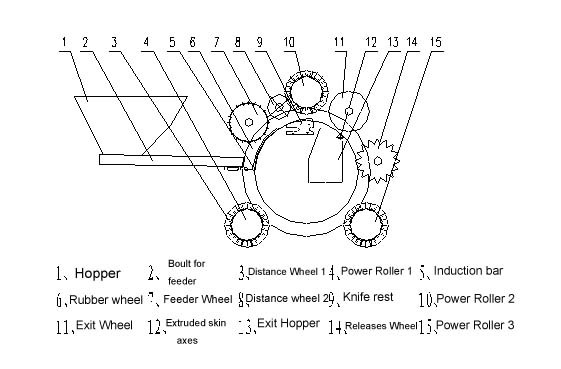 This is an advanced peeling machine for peanuts. It is compact and stable with a reasonable structure and low noise. 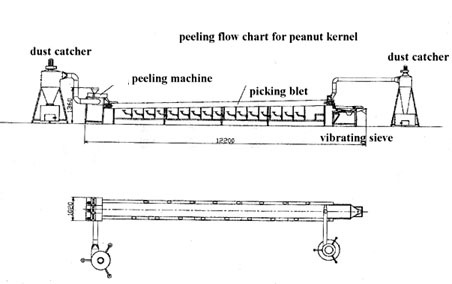 The peanut enters in the peeling room from hopper automatically, then the rubbing device peels the peanut to be white, scarless, and keep whole-kernel. The red skin will be separated from the peanut kernel automatically. Peanut wet peeling machine is the ideal equipment and adopts the wet method for removal of peanut red skin and almond skin. After peeled, mainly used for process fried peanuts, peanut milk (milk), almond peanut protein powder, almond juice. Peanut Wet Peeling Machine has the characteristics of reasonable design and compact construction, high peeling efficiency, high integrative ration, no pollution, etc. It adopts hand peeling principle and special peeling components, so it has high peeling rate, high whole kernel rate, non-pollution, low power consumption and peeling and shin separation at the simultaneously. It can remove the skin of peanuts/soybean/almond/chicpeas off easily and gently like human hand. High peeling rate. High whole kernel rate. No pollution. 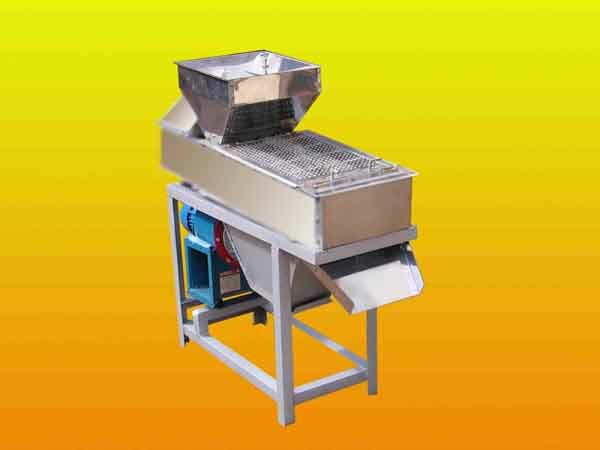 Peanut peeling machine can peel bigger chicpeas, almond also. Peeled peanut/chicpeas/almond are used for frying.